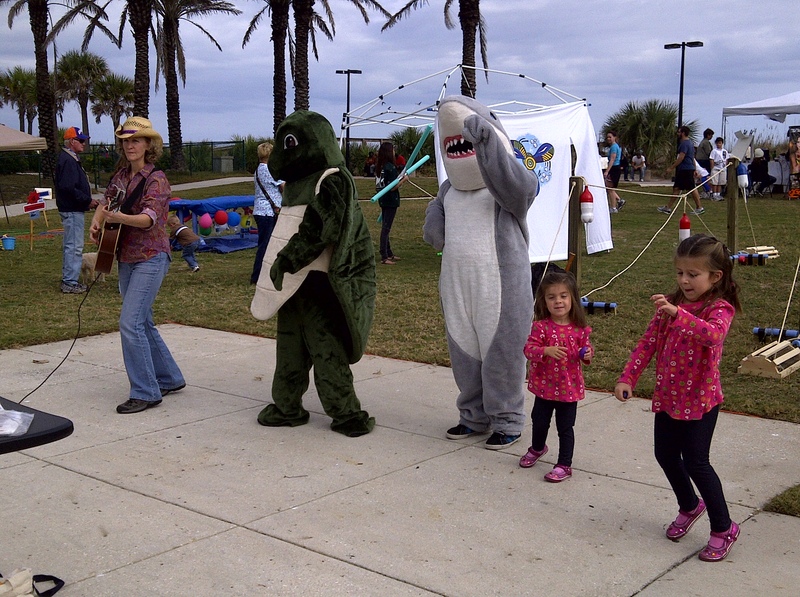 Right Whale Festival 2010: Huge Success! 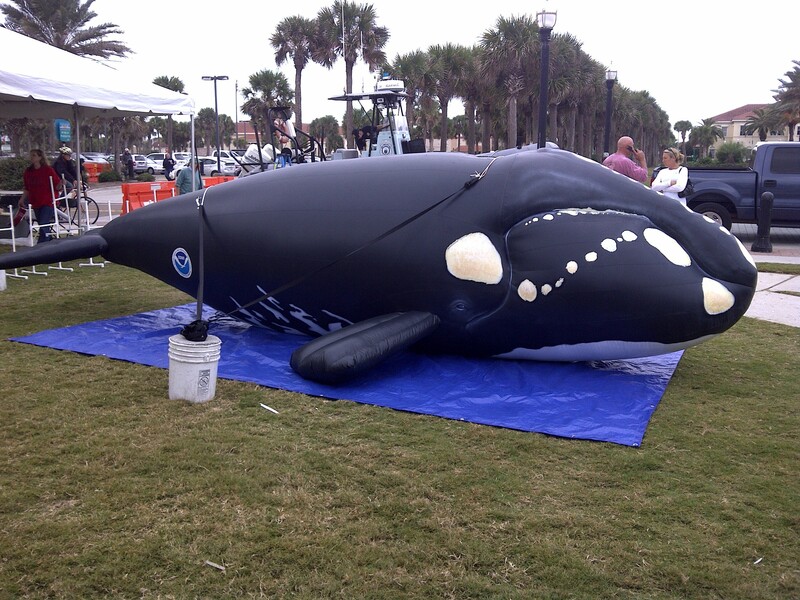 Hosted in Jacksonville, FL for the second year in a row, the event could only be referred to as an amazing follow-up to the break-out attempt in 2009 of combining education for the critically endangered north Atlantic right whale with eco-tourism. 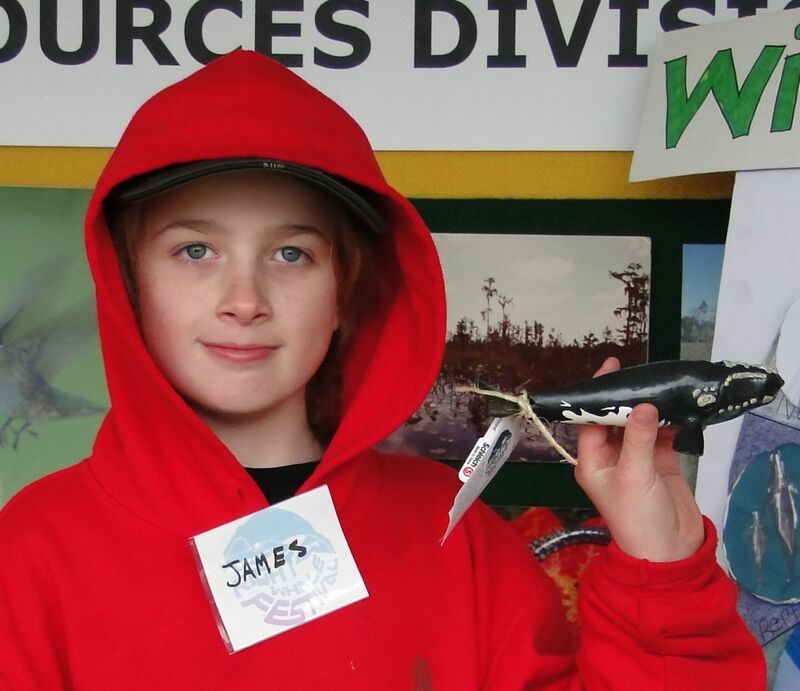 With less than 400 left, there are more children in the average elementary school than there are north Atlantic right whales, a comparison that really drives home the rarity of these incredible species to many of the visitors at the festival, especially the kids. 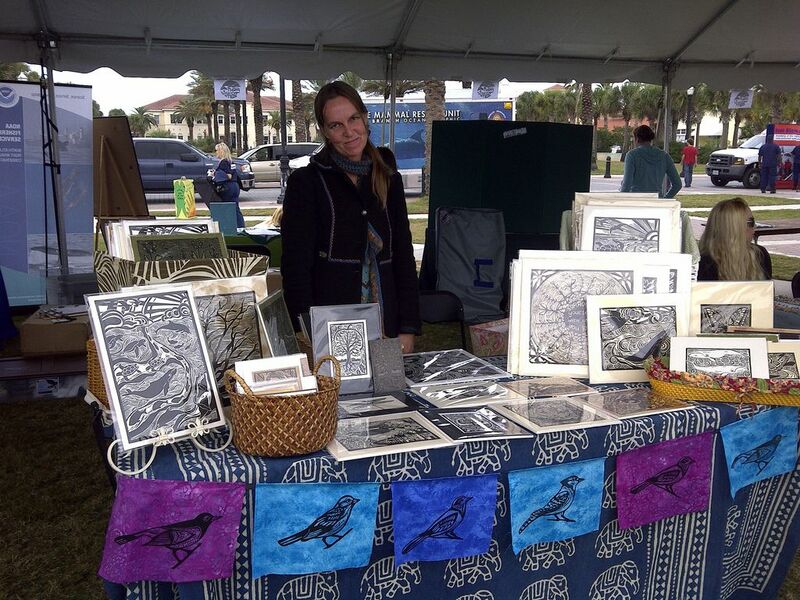 Things got off to a great start as vendors from all over Florida and Georgia set up their booths with everything from local whale arts and crafts to the local volunteer sighting network, where locals could sign up to become a part of the network that scans the coastline for the rare glimpse of these majestic marine mammals during the calving season. The weather stayed breezy and cool, perfect for a day of song and dance with both the Salt Water Cowgirls and the Split Tones providing musical entertainment throughout the day. 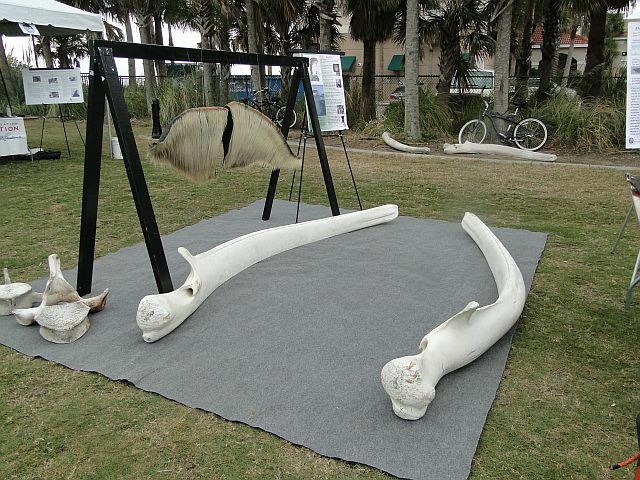 Florida Wildlife Conservation Commission (FWCC) provided an interactive display complete with actual jawbones and baleen for kids and adults alike to examine. NOAA and Georgia DNR set up a disentanglement table to provide important information on one of the primary causes of right whale mortality – entanglement in fishing gear while others emphasized the “No approach Rules” , critical calving grounds and the recently passed mandatory ship speed reduction rules that apply to ships over 60 feet in length while in the critical habitat areas designated by the National Marine Fisheries Service and NOAA. This rule will hopefully reduce the number of ship strikes, the number one cause of right whale mortalities – primarily due to the whales being slow swimmers, dark in color and their tendency to bask on the surface close to shore – which coincides with the shipping lanes in and around the Georgia and Florida coasts. Kids and adults alike went from vendor to vendor, passport in hand answering questions, designed to help teach them the basics about the whales that visit the Georgia and Florida coasts from November to March. As each page received a stamp (questions ranged from how are individual right whales identified: callosities, to what type of zoo-plankton do they mainly eat: copepods) the participant came closer to receiving a their prize, a realistic model of a right whale of their very own. 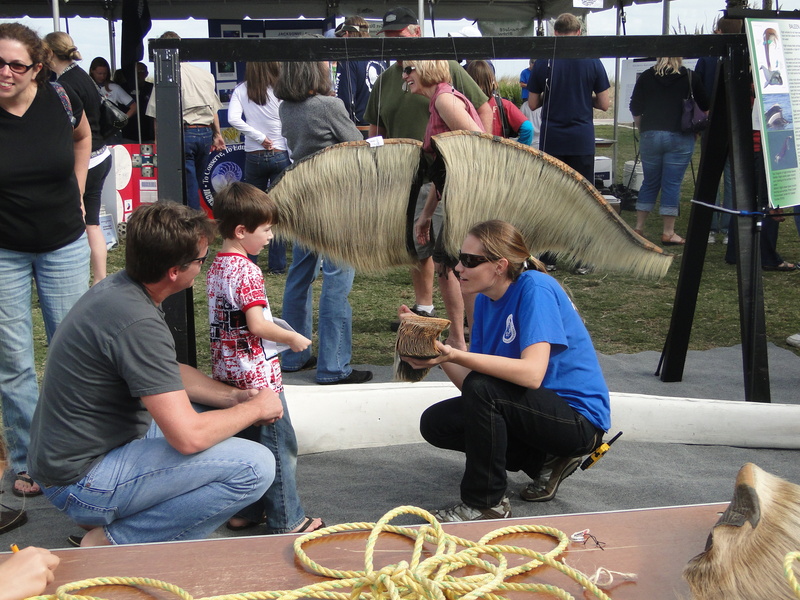 Over all, the 2010 festival pulled in nearly double the number of visitors from 2009 and plans are already underway for next year’s festivities according to co-organizer and Marine Mammal Outreach Specialist for NOAA Cheryl Bonnes. Special thanks goes out to all the vendors and sponsors including The Georgia Department of Natural Resources, Nongame Conservation Section; NOAA Fisheries Service; Guana Tolomato Matanzas Estuarine Research Reserve; Marine Resource Council; Marineland Right Whale Project; Analysis, Design, & Diagnostics; Sea to Shore Alliance; Florida Fish and Wildlife Conservation; Surfrider; Jacksonville Zoo and Gardens; Marineland’s Dolphin Conservation Center and Georgia Aquarium’s Dolphin Conservation Field Station; Keep Jacksonville Beautiful; Jacksonville University, Marine Science research Institute; Wild Amelia; Harbor Branch Oceanographic Institute; JAXPORT; U.S. Coastguard; Keepers of the Coast; Navy; Environmental Services Inc.
For the entire album of photos be sure to check out the flickr page! This entry was posted in Adventures and tagged Conservation, DNR, eco-tourism, endangered, FWC, Jacksonville, nongame, right whale festival, right whales, Wildlife, wildlife agency. Bookmark the permalink.